Firstly I really have to add 6 photographs I found recently and share, not of the ISDT, but from the same era, they are too good to be let slide by un-noticed. 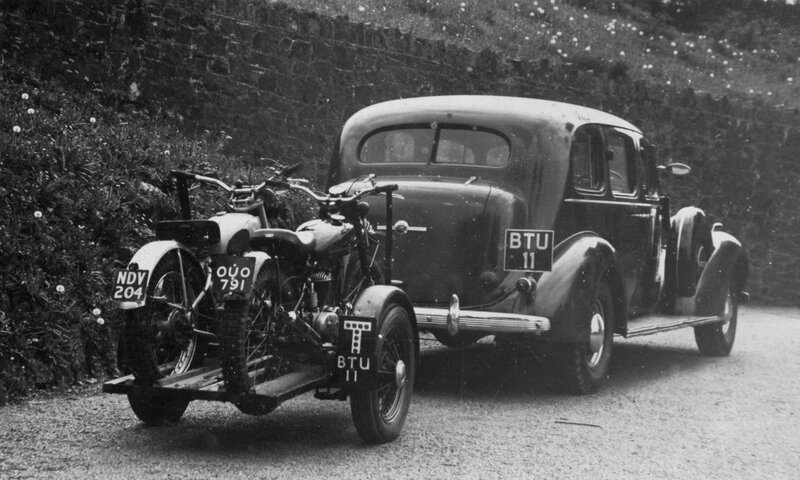 They fill me with the spirit of hope and optimism that surrounded the British Motorcycle scene in the early to mid 20th Century when motorbikes and motorcycle sport were part of the nations psyche and to be a motorcyclist made you fairly mainstream rather then an extrovert alien on the fringes of civilisation. 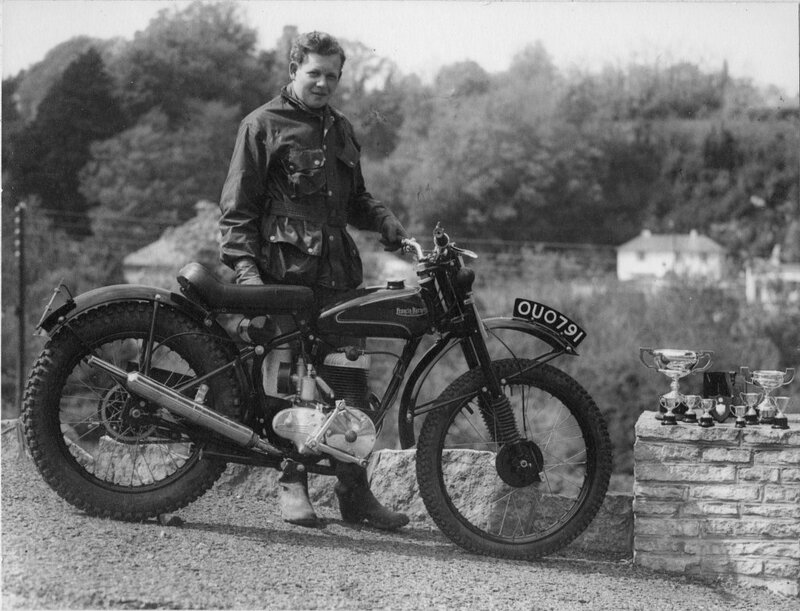 Motorcyclists went to war and died saving this country and the nation was grateful to those who served its needs. 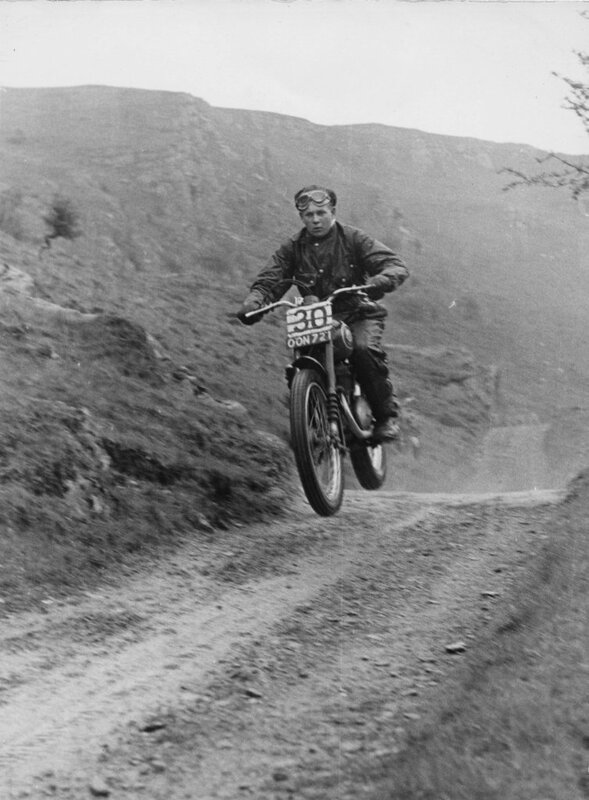 If there was ever a picture would be the caption for my joy for riding a motorbike, this is it, taken at the Welsh 2 Day back in 1954. 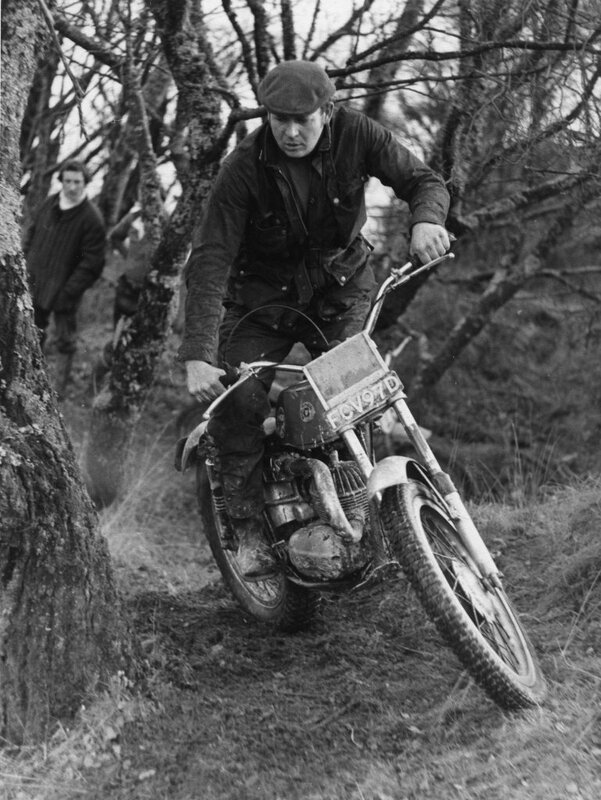 Featuring the young Bill Martin, who was a great rider of the South West Centre, and here he is a a young man on the same bike he is later seen riding the Scottish Six Day Trial on, doing what is needed. 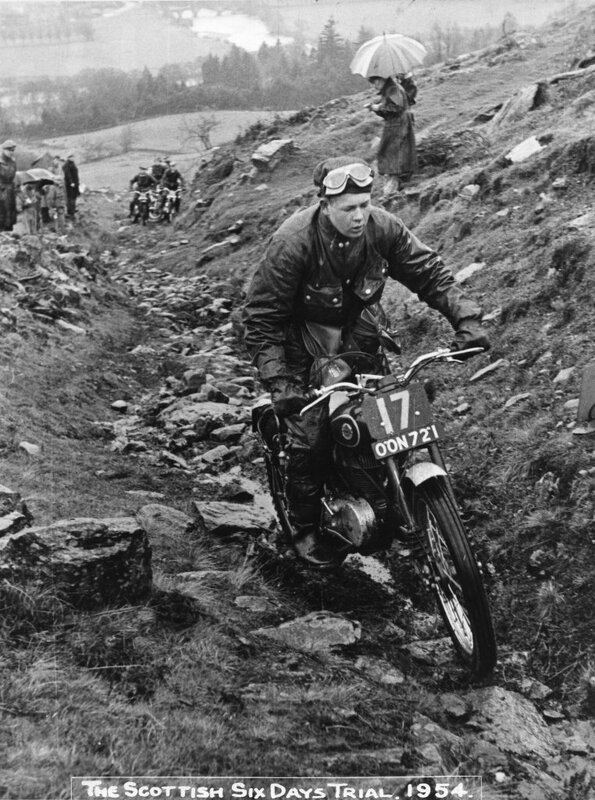 No matter what else is said, this is the image that draws the line for me when I face the often crass uninformed prejudice of self appointed busybodies, nobodies and over zealous council clerks who feel obliged to classify off road motor sport as being an anti social activity and aim to wipe it off the hills and valleys of mid Wales along with the people that are associated with it. Thanks to the South West Classic Trials scene for making available a few other pictures of Bill that help kill the imaginary images of those who want to mislead others into assigning Off Road Motorcycle Sport as an ASBO culture when they struggle to find any other valid way to show their dislike of a classic sport. Bill Martin in 1953 picks up his 17th Birthday present. 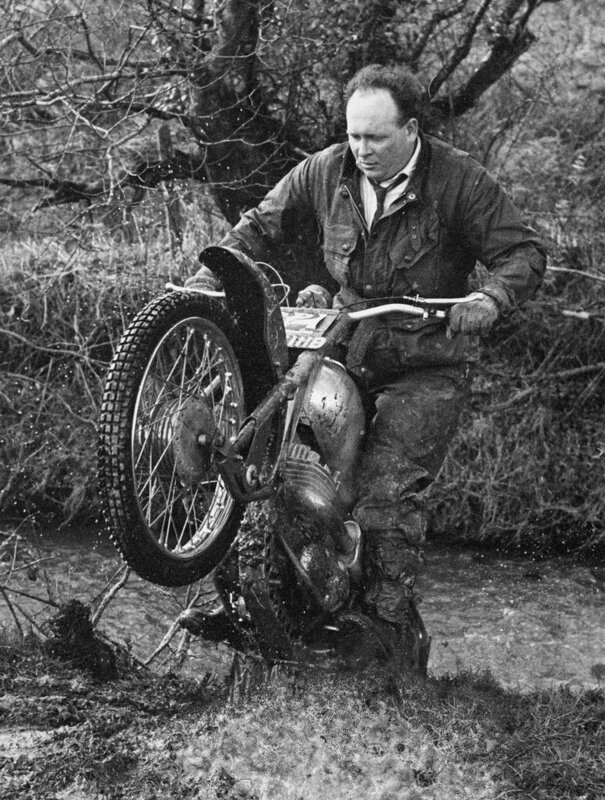 Not just any rich kid those Trophies were well earned he became a skilled factory level trials rider This Franny B OUO791 was not a slouch of a bike either.